A blend of milk and dark chocolate with the energizing effects of added fresh peppermint. A refrishing and energizing blast with this potent Cannabar!. 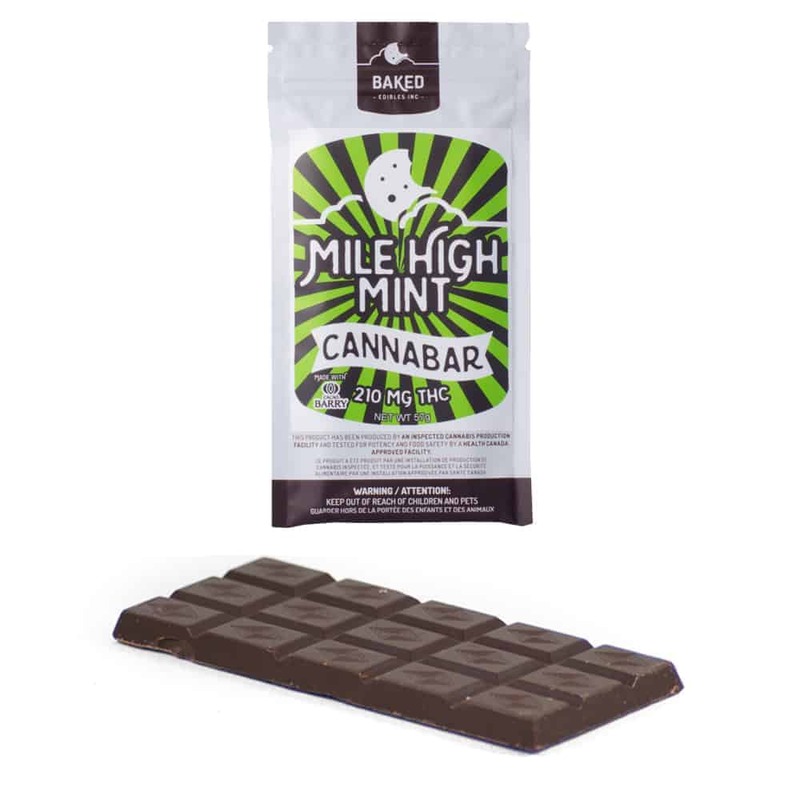 2 reviews for "Baked Edibles – MILE HIGH MINT CANNABAR – 210mg"
Very tasty but slow acting. For 14 mg I’d expect a better high. I enjoyed this kind, I took 2 pieces and I felt great. Rich taste too!